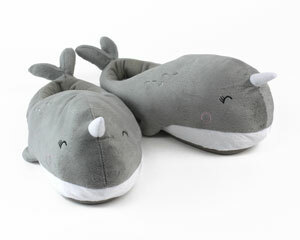 These cozy slippers are sure to hammer out the cold! 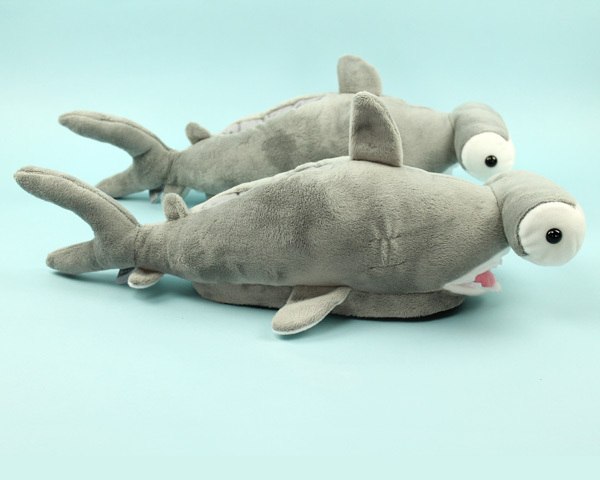 With our Hammerhead Shark Slippers, your feet will be both warm, and a conversation starter! 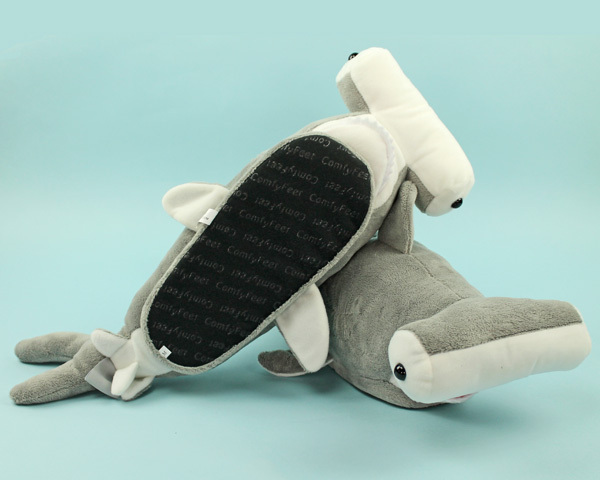 Plush and comfy, these hammerhead shark slippers have a no-skid sole, ensuring you'll stay on your fins as you glide around. 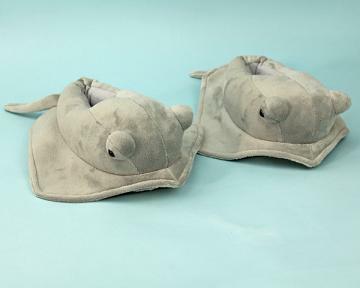 While we can't guarantee your feet will have 360-vision like the real hammerheads, we can promise a cozy, comfy pair of slippers! It's biting cold here in Utah. 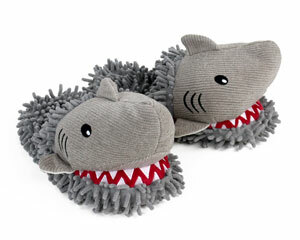 These hammerhead shark slippers bite back the cold on my feet. So warm, comfy and totally cute. Would recommend to anyone in need of slippers. I’m obsessed with sharks, so when I saw these I just had to have them!! Super cute and comfortable. I get a ton of compliments in my dorm when I wear them to do laundry. Absolutely love my hammerhead slippers!!!! They’re the absolute cutest! 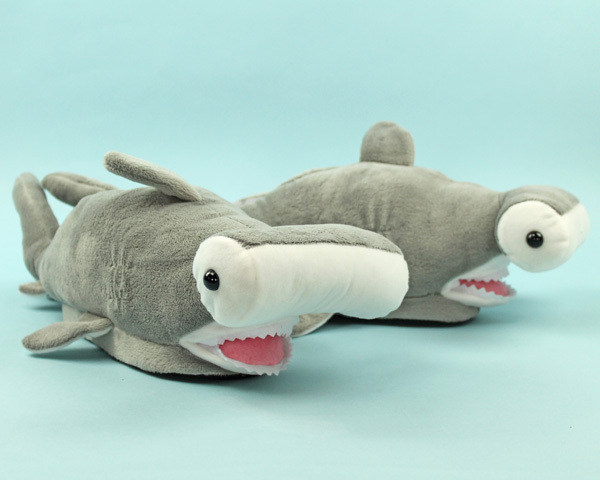 Hammerhead shark slippers are awesome! They are just as pictured! This company is fast and efficient! I will be purchasing again soon! Advantages: The slippers fit perfectly! Excellent product and shipping time, will definitely order from them again! 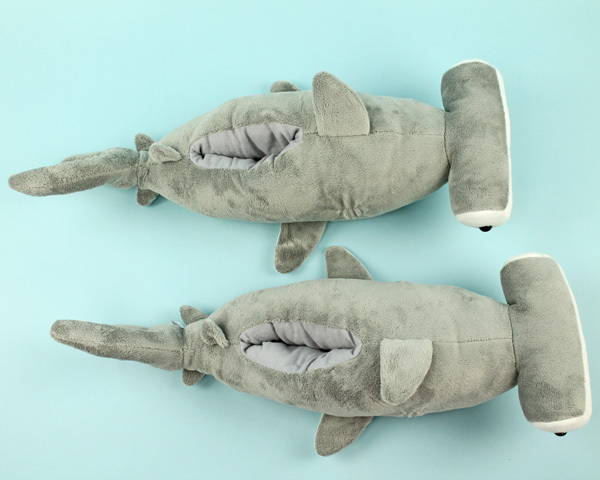 my husband is OBSESSED with his new hammerhead shark slippers!!! every holiday, he gets a new pair of slippers -- i've been ordering from bunny slippers for the past 3 years now. can't beat these! The slippers were absolutely adorable! They fit perfectly, shipped and arrived in a few days, and looked even cuter than in the picture. Couldn't be happier with my purchase!